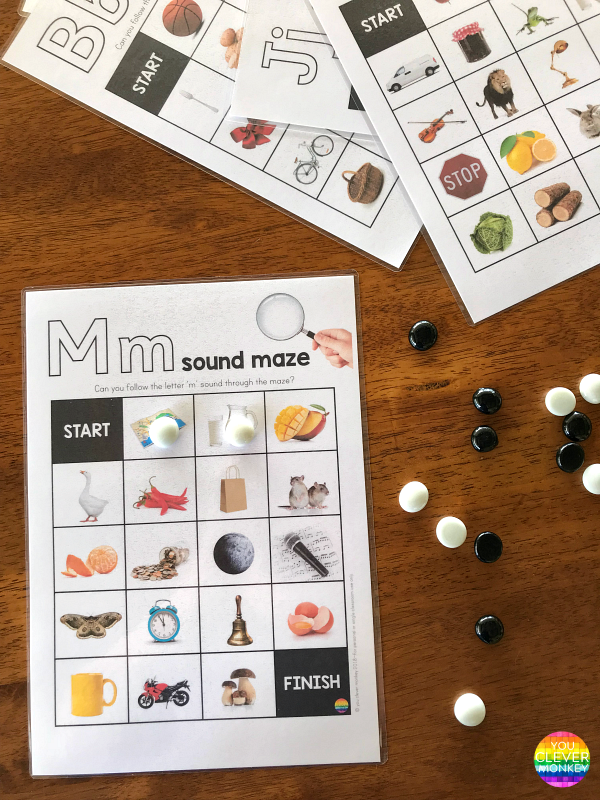 Mastering the beginning sounds letters make can be tricky for some young children. 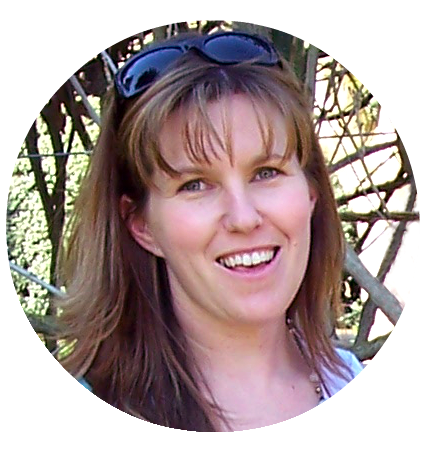 And now we have a string of resources to assist you! 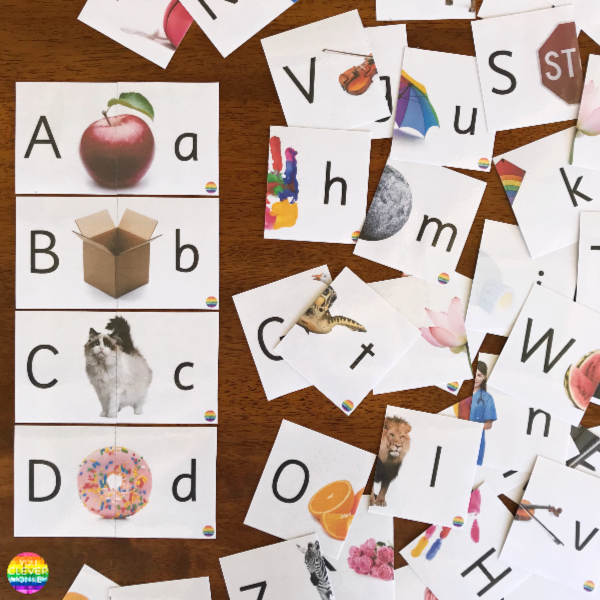 These 3-part cards can be used just to introduce individual letters and sounds or used later for games for more confident children. DOWNLOAD THEM FREE AT THE BOTTOM OF THIS POST! 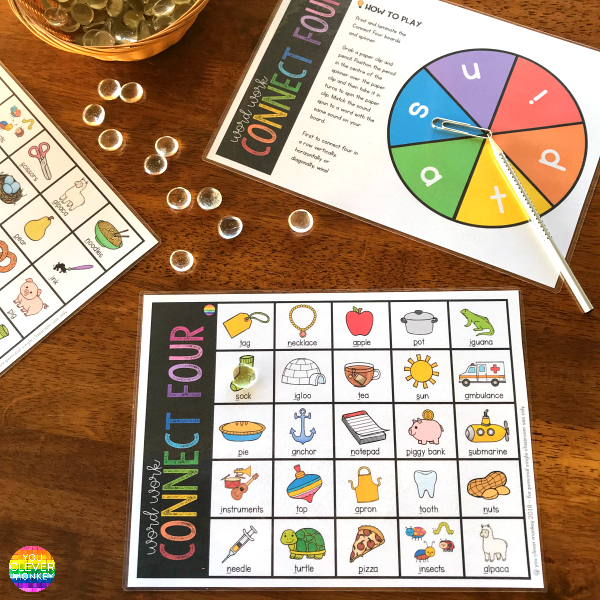 Or use our 2 part puzzle cards for beginning readers. 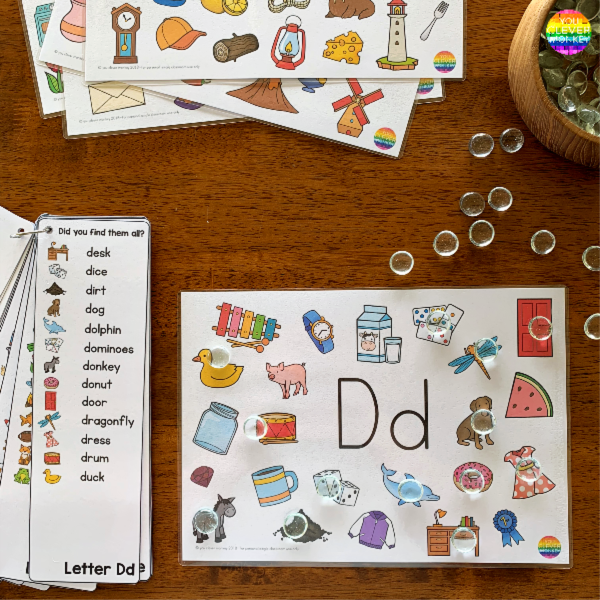 These initial cards offer just right amount of practice for children who have been introduced to all of their beginning sounds but are still practicing differentiating between sounds. 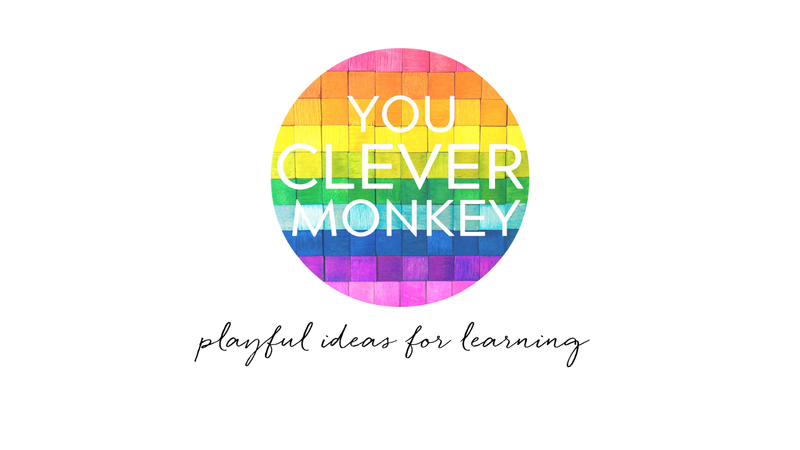 Just print and add magnetic letters or laminate to write on. 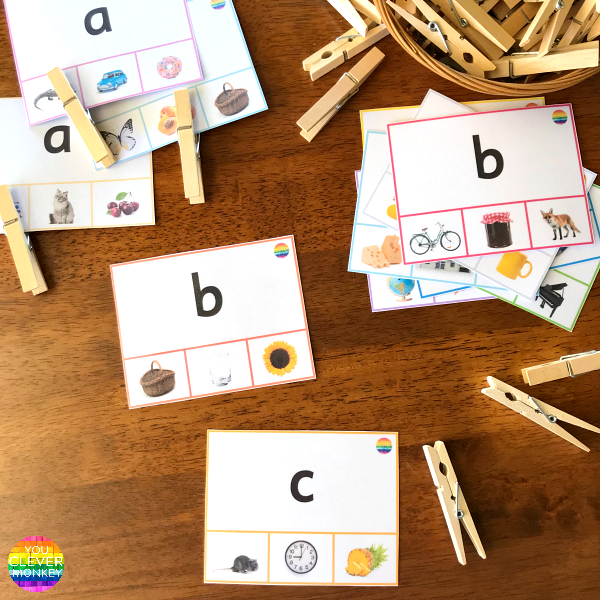 This set of clip cards help build fine motor skills while also helping young children to feel more confident about the connections they are beginning to make between letter and the beginning sounds they hear in words. 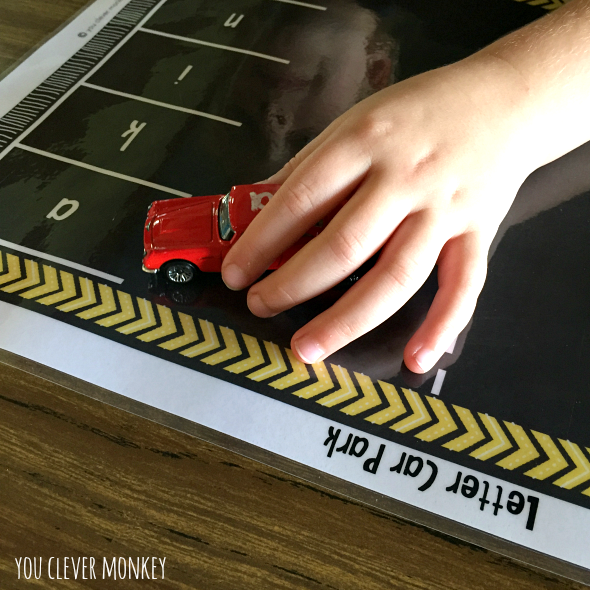 Try our FREE alphabet car parking mats to help build letter recognition in a fun, hands on way! See the bottom of this post. 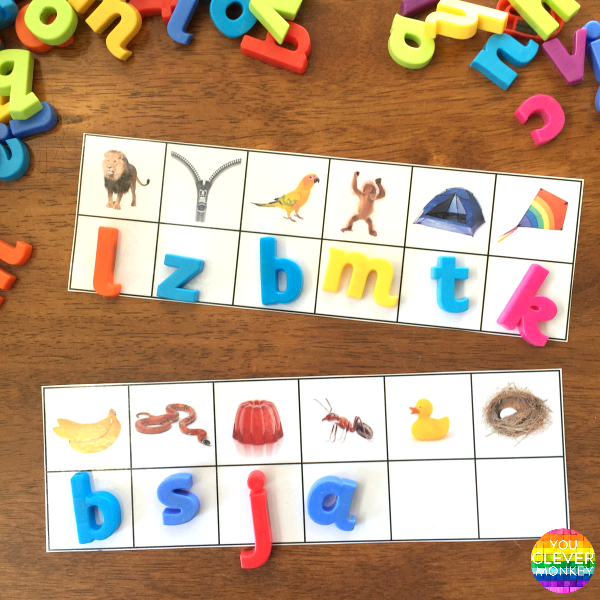 Looking for a resource that combines building letter recognition and differentiating between beginning sounds? 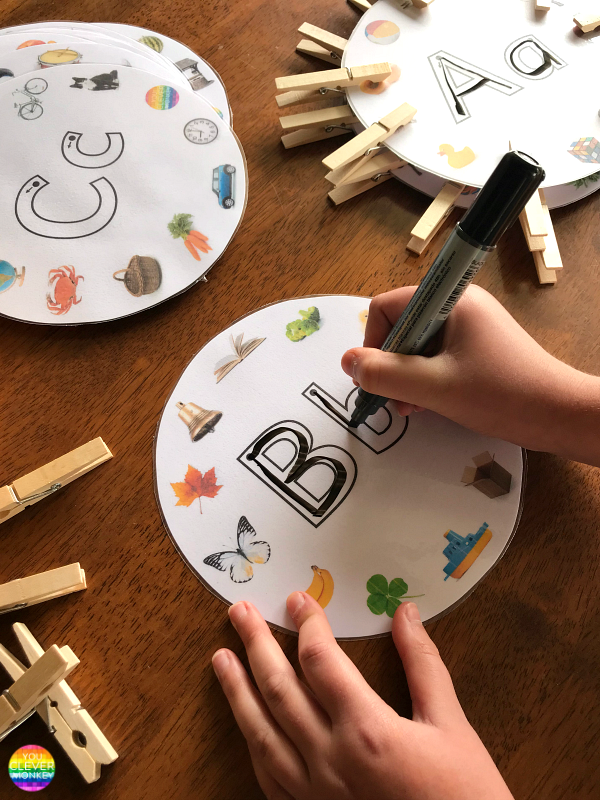 Try this set of alphabet wheels - they're a favourite! These alphabet wheels are the step before our popular Initial Sound Alphabet Mats. 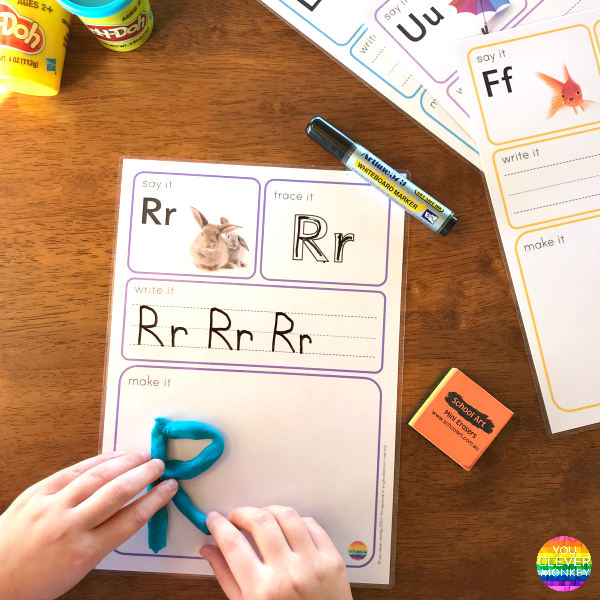 Providing some handwriting practice, fine motor strengthening and practice at differentiating between letter sounds, a great addition to your literacy centre rotations! You all love these Initial Sound Alphabet Mats and your students do too! With a mat for every letter of the alphabet, it's easy to understand why these became a favourite so quickly! then use the answer cards to check their path. 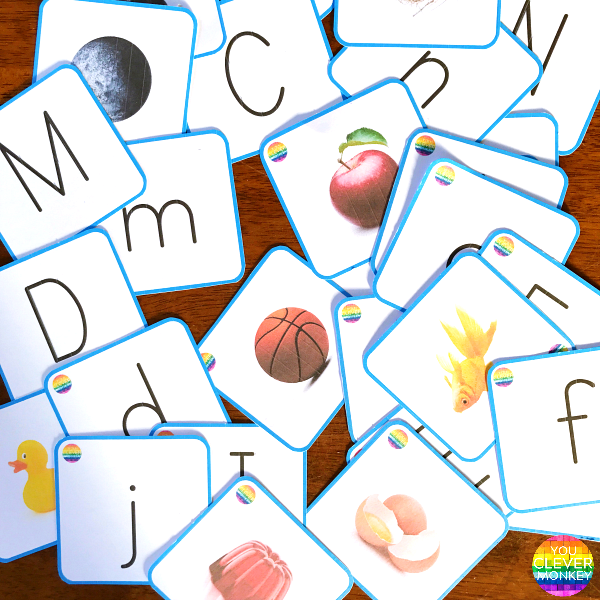 Looking for a fun way to practice differentiating between beginning letter sounds? Try our Say It Trace It Write It Make It Alphabet Mats. help reinforce all the initial sounds! Download our 3-part letter and sound cards from here. or our alphabet car park mats from here.